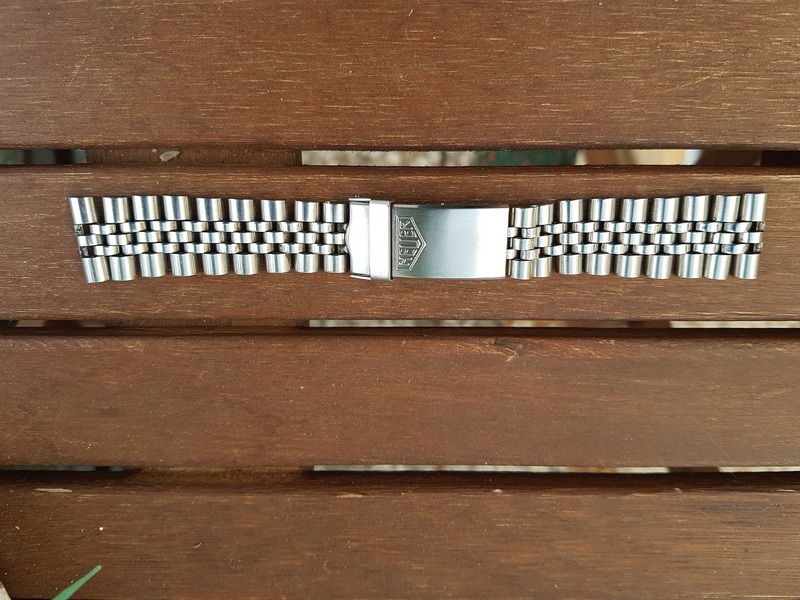 I want to offer a Heuer Jubilee bracelet for parts. 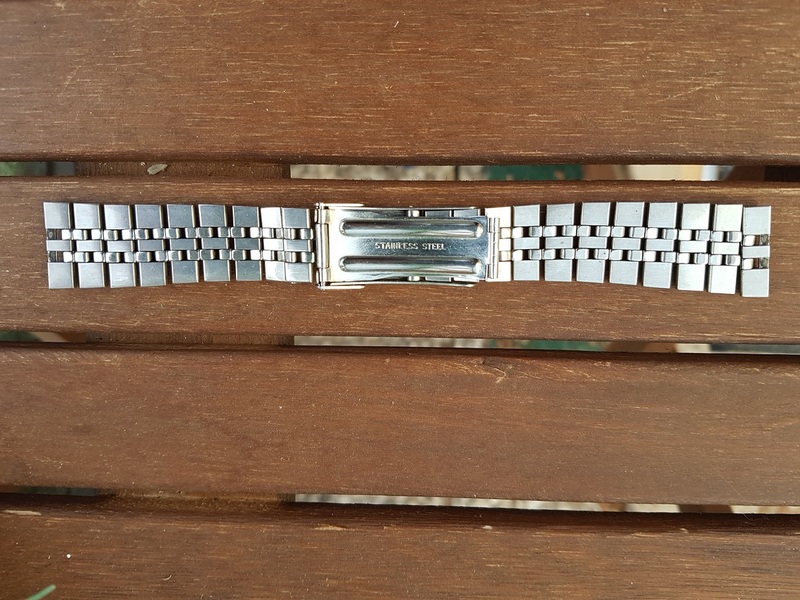 Found this bracelet without endpieces. 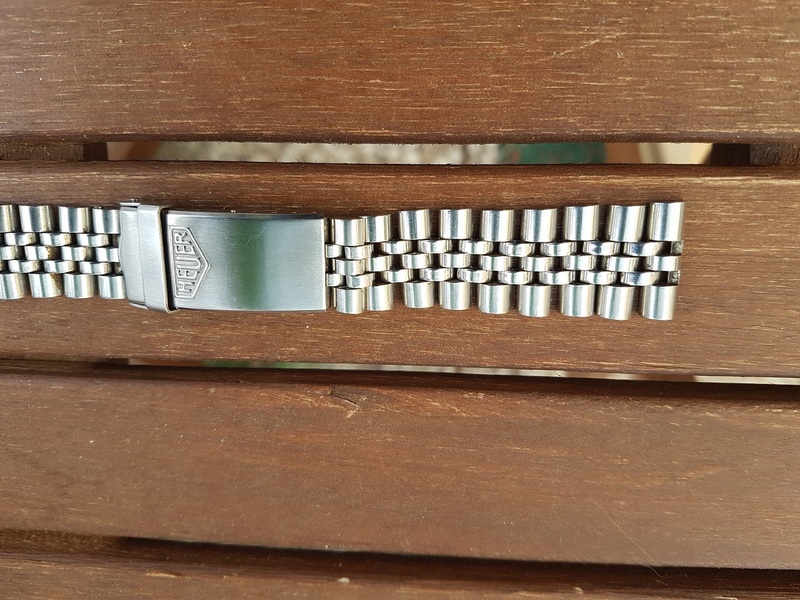 Do not know, if someone could need a link or the nice Heuer clasp?! Because there are some parts missing, I want to offer it only for parts. 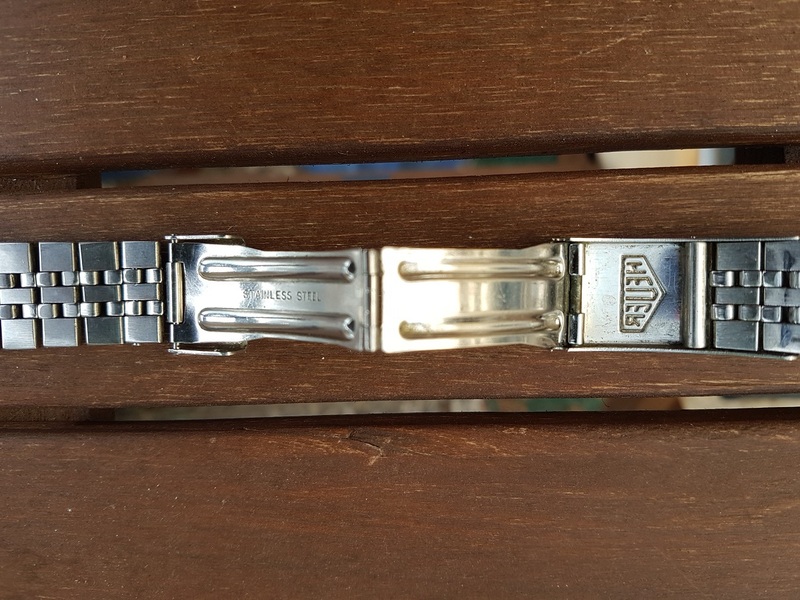 The Heuer clasp is in real good condition and the bracelet closes crisp as it should. 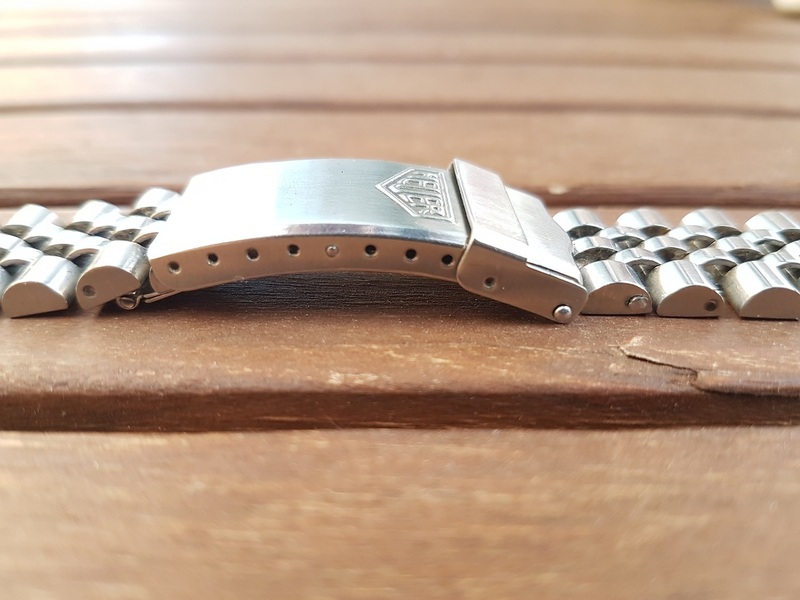 The whole bracelet has a little stretch an has a length of 165mm. I want to ask 85 Euro + shipping (payment via Paypal F+F or Paypal, if you cover the fees). If you have another offer, I will listen to it. I have a lot of references here, at IG and german uhrforum. Thanks, Jeff, for the space!